William Penn originated the street-naming practice in 1682 when he gave Philadelphia’s north-south streets names like Locust, Spruce, and Vine. Other cities soon followed Penn’s path. 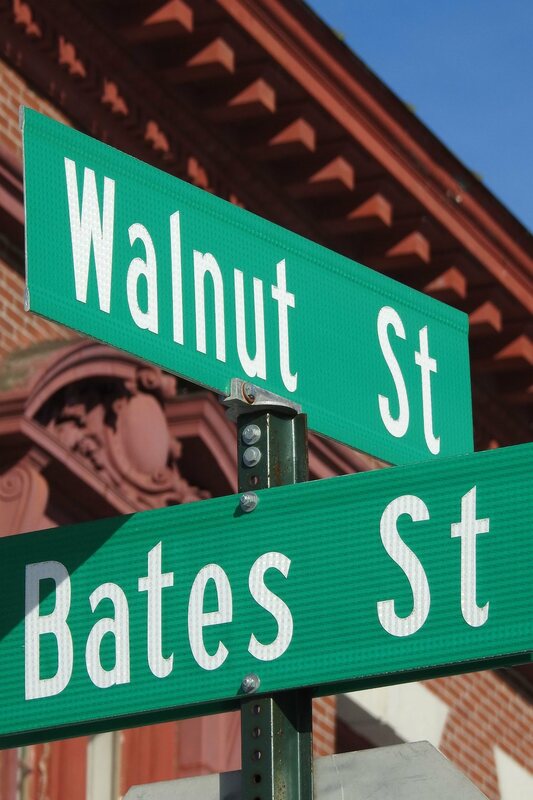 Lewiston’s street naming occurred mostly in the mid-1800s. The Franklin Co., a holding company for the Lewiston mills that owned most of the downtown land, laid out the street plan. It’s thought that one of Franklin’s engineers, John Straw, gave tree names to the streets that run nearly east and west. The two U.S. Census tracts overlaying the tree streets are among the poorest in Maine. The neighborhood is also young, vibrant, and diverse. A third of its citizens are nonwhite, including many families who emigrated from Somalia and other African nations. In a state worried that its aging population thwarts economic development, the tree streets help make Lewiston younger (median age 39) than the rest of Maine (median age 43.5). Bangor, Maine, also has a self-described tree-street neighborhood, as do the California cities of Costa Mesa and Laguna Beach; plus Norwood, Mass. ; Princeton, N.J.; Nashua, N.H.; Yonkers, N.Y.; Elko, Nev.; Johnson City, Tenn.; Provo, Utah; Waynesboro, Va.; Bunbury, Wash.; Bluefield, W.Va.; and Casper, Wyo.